Theme Travel And Transportation. Beautiful Young Caucasian Woman In Dress And Backpack Standing Inside Train Station Terminal Looking At Electronic Scoreboard Holding Phone, Map Paper Hand Navigation. Lizenzfreie Fotos, Bilder Und Stock Fotografie. Image 115334599. Standard-Bild - theme travel and transportation. Beautiful young caucasian woman in dress and backpack standing inside train station terminal looking at electronic scoreboard holding phone, map paper hand navigation. theme travel and transportation. 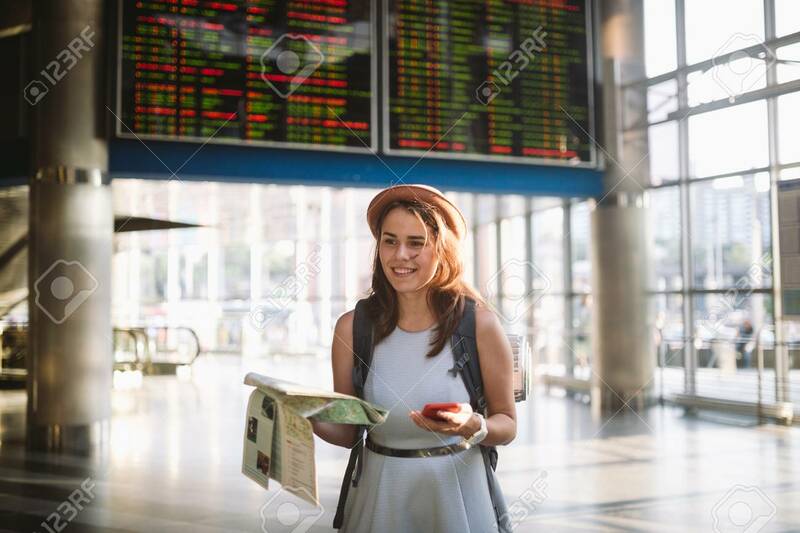 Beautiful young caucasian woman in dress and backpack standing inside train station terminal looking at electronic scoreboard holding phone, map paper hand navigation.